2 Bedroom Semi Detached Bungalow For Sale in Ayr for Fixed Price £84,000. 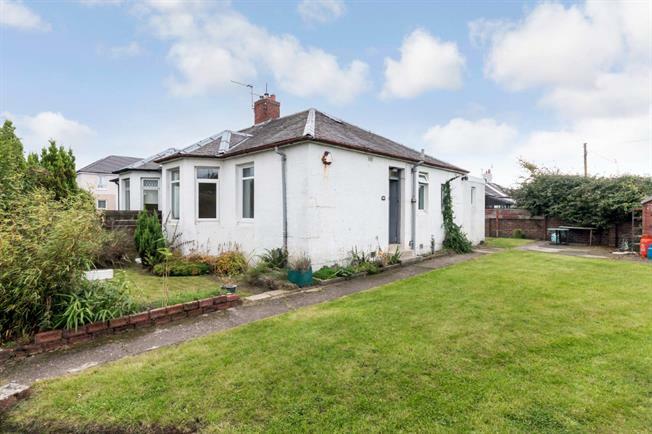 Rarely available 2 bed semi-detached bungalow with good access to local schooling, shops, public transport links AND the A77 for the commuter! Accommodation on offer extends to lounge with double glazed bay windows & living flame gas fire, attractive kitchen with a range of fitted units, New World range & archway to the dining room which in turn has French doors opening to the generously proportioned rear gardens, bathroom with suite comprising wash hand basin, WC & bath with shower over & two DOUBLE bedrooms! Externally this property benefits from private off street parking & enclosed gardens on two sides laid to lawn with a convenient paved patio!